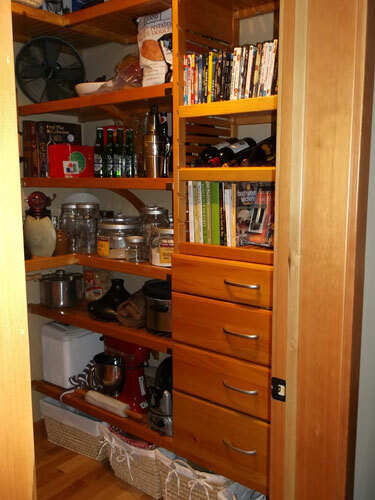 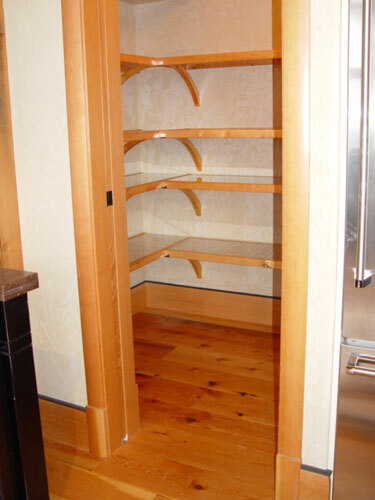 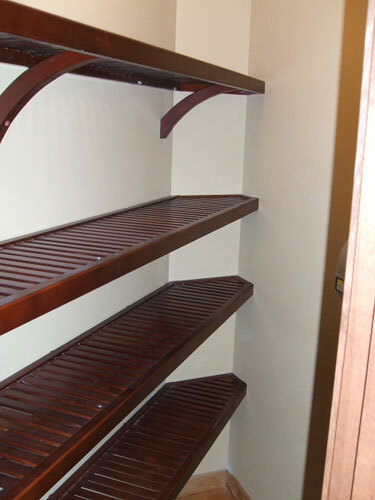 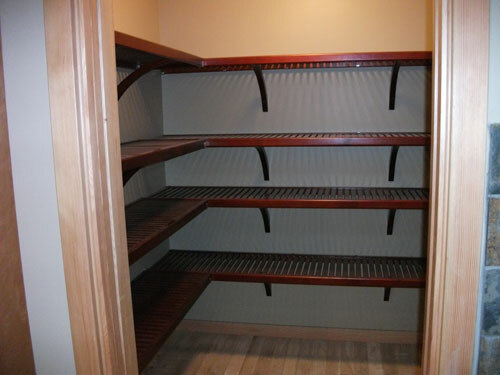 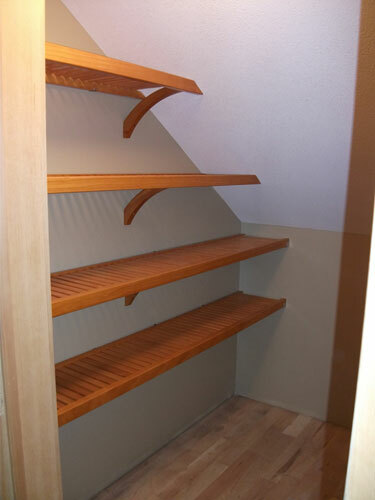 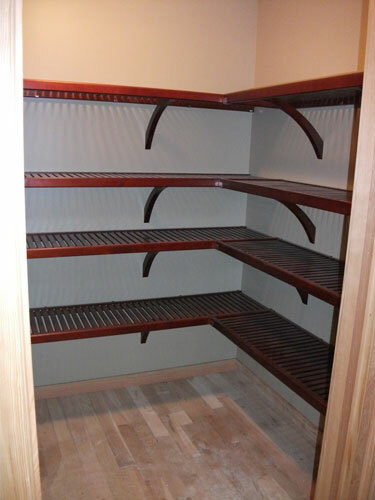 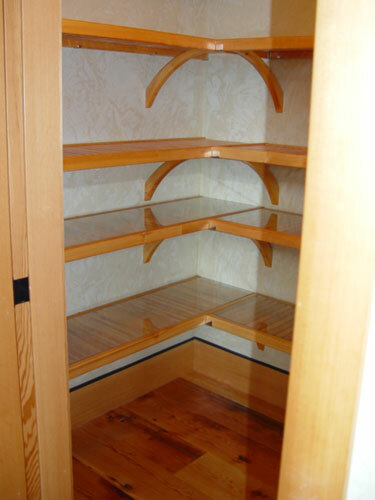 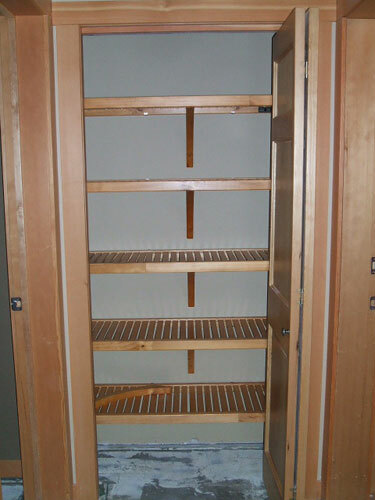 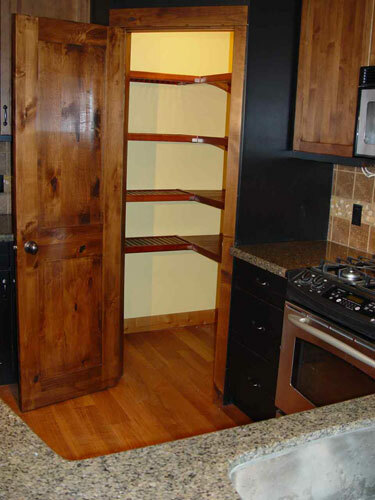 John Louis Home shelving works great in linen and pantries as well. 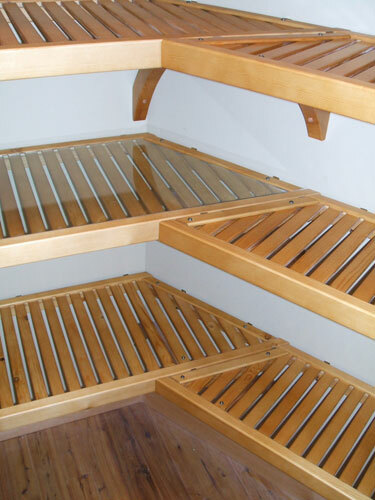 The ventilated wood shelving, secured by mounting hardware and stylish angle brackets, provides strong attractive shelving, able to support all your linen and kitchen items. 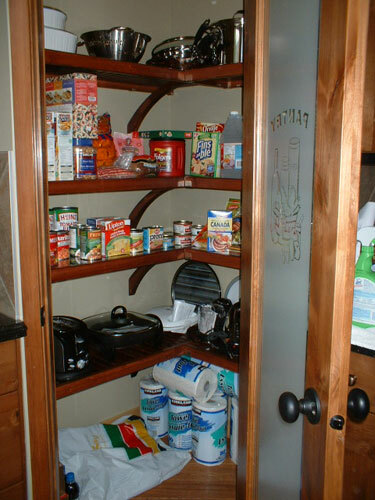 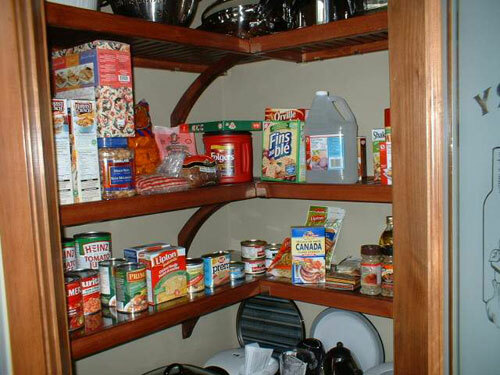 We will often line one or two levels of pantry shelving with 5mm glass to give a more european look to prevent cans from scratching the shelving.